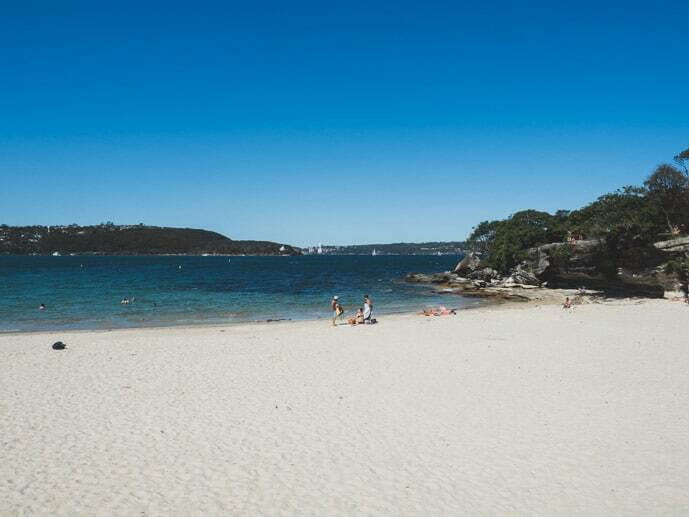 Balmoral Beach is definitely one of my favourite beaches in Sydney. 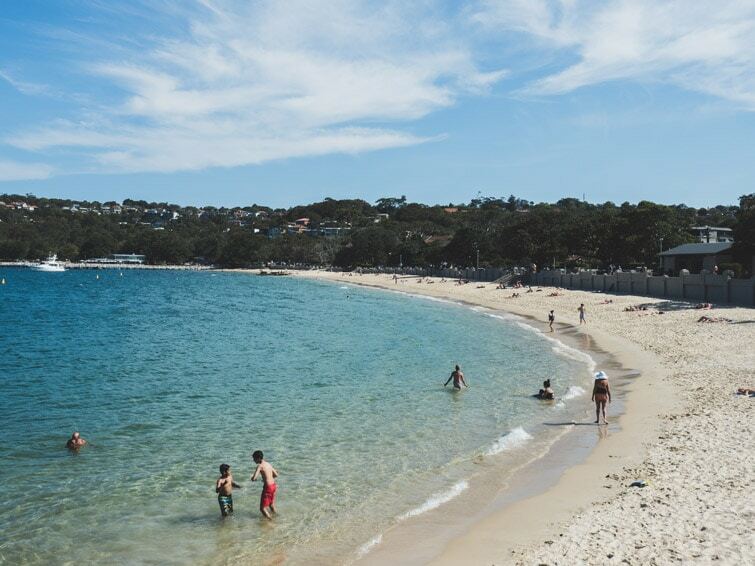 It’s a beautiful colour, it’s great for swimming as it’s pretty calm, and the surrounding area is beautiful with plenty of options for a great lunch. So although it’s in Sydney, it makes a great day trip as you can easily spend all day here, and it’s not immediately in the city centre (and not that far away either). 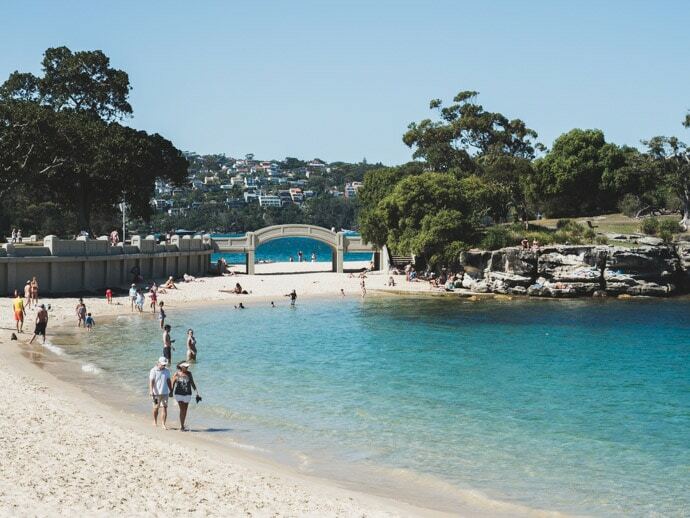 So here’s everything you need to know about spending the day at Balmoral Beach Sydney. 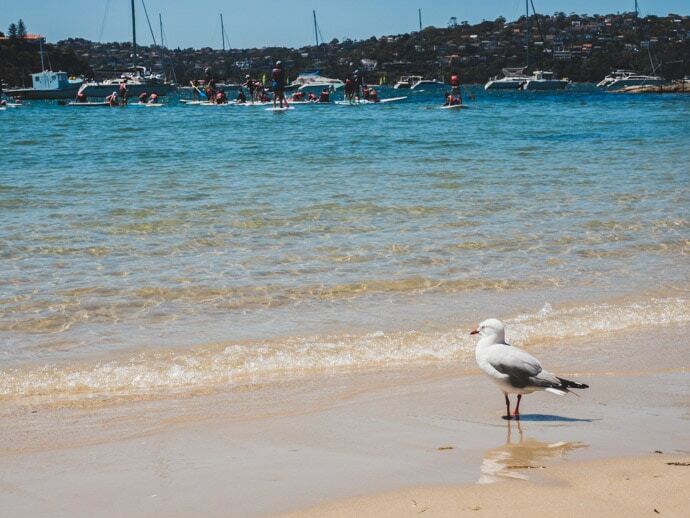 Balmoral beach offers something for everyone, except perhaps, if you came to surf, as there is little to no waves. The beach is split into two main sections, north and south of a little bridge to Rocky Point. Rocky point is its own little island with grass and places to sit, great for a picnic. Right near the beach, there is a beautiful park and lots of grass to have a picnic or relax. You will also find a baths section which is popular with young families. 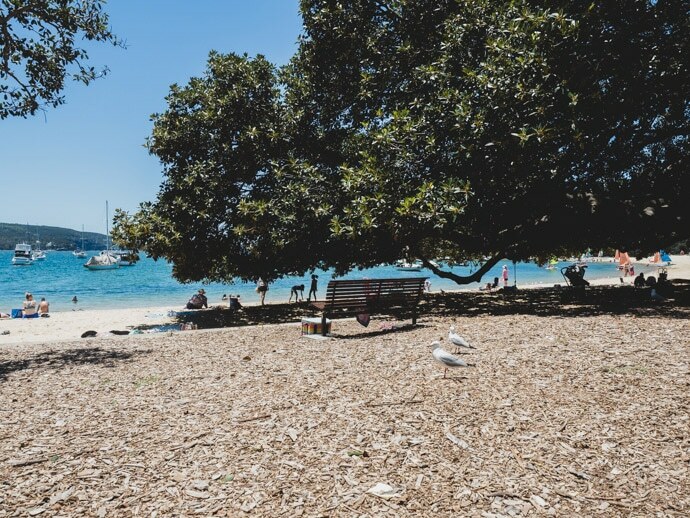 My idea of a perfect day at Balmoral beach is to have fish and chips for lunch, relax on the beach, go for a swim and walk along the boardwalk. If you’re feeling a little more active you can try stand-up paddle boarding, kayaking or sailing. 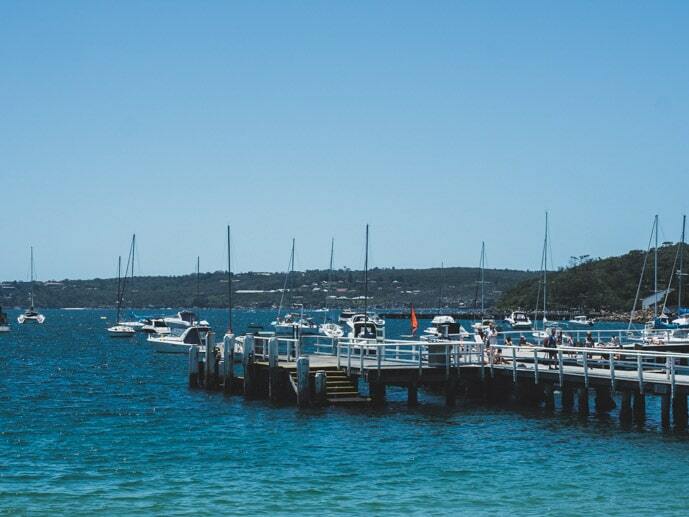 And there’s also a great walk from Taronga Zoo to Balmoral beach. 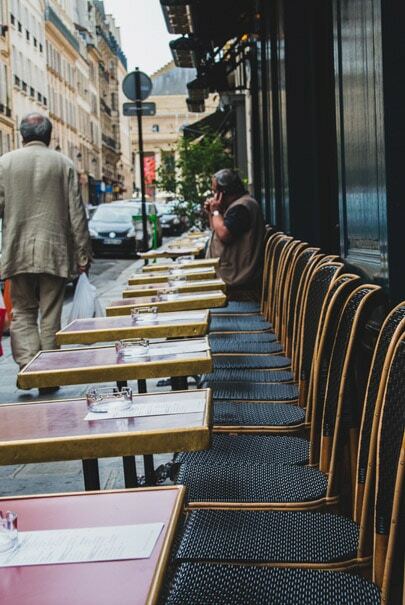 One thing I love about it here is that there are just enough places to eat that satisfy whatever you might be feeling like, from fish and chips to fine dining. 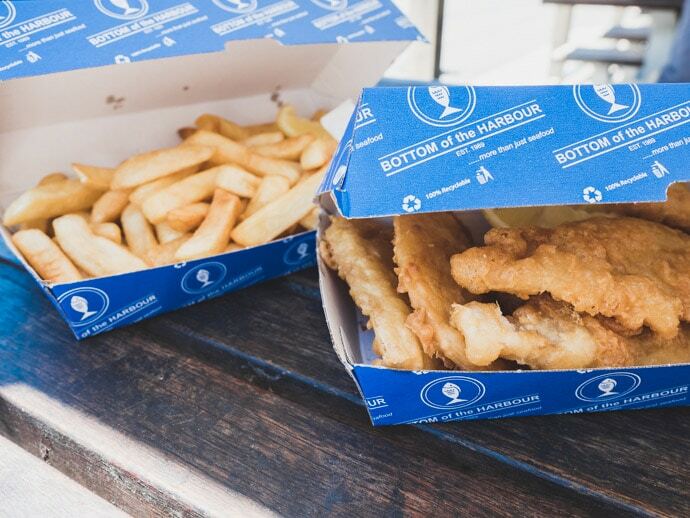 For Fish and Chips, try Bottom of the Harbour. Here you can eat in on the outside table and chairs or take-away to the beach. 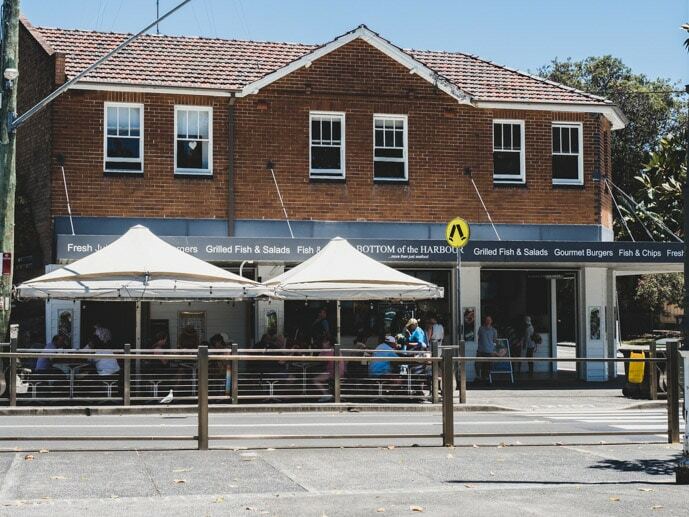 For casual eats or snacks, try the Balmoral beach kiosk. For something a little fancier, The Boathouse Balmoral is perfect, with a beautiful spot over the water. 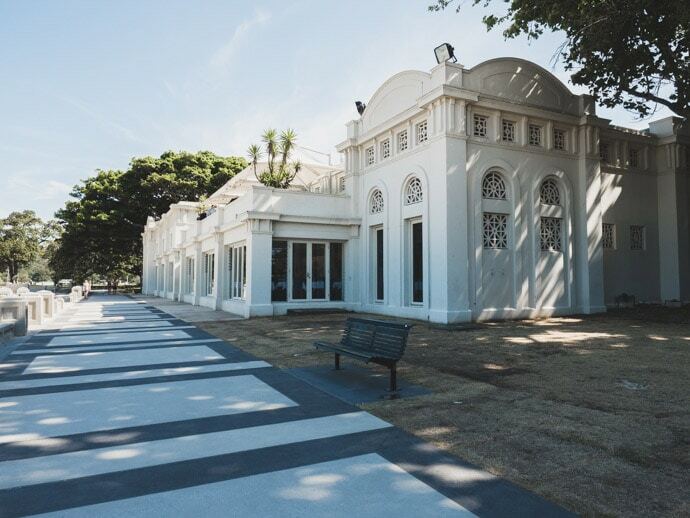 And for fine dining try The Bathers Pavillion or Public Dining Room, both situated just off the beach. You can reach the beach by public transport or get a taxi or Uber. 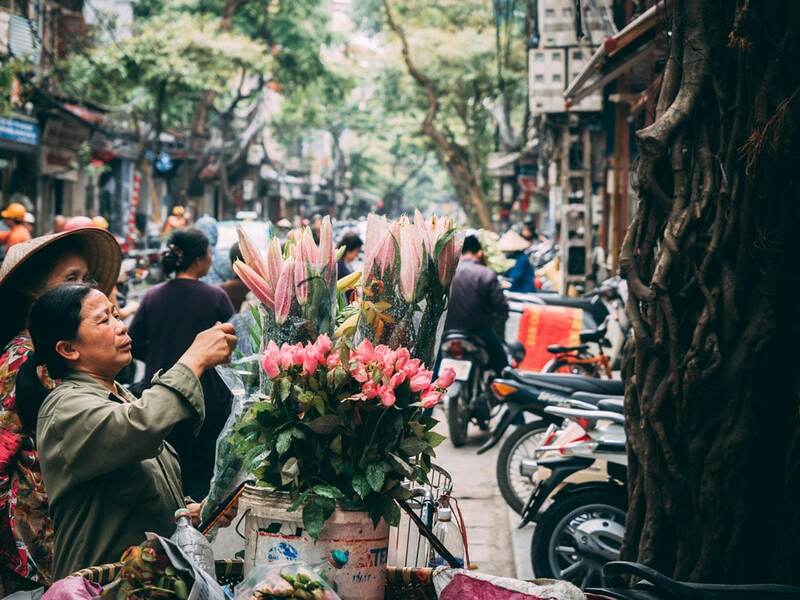 With Public transport, you have a few options. If coming from the city, you can get the bus (check your best route option here). 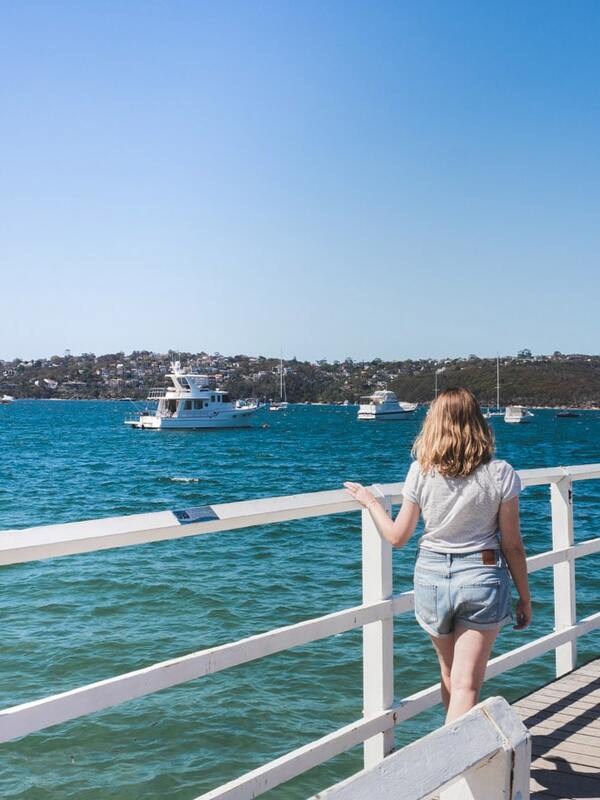 You could also get the ferry from Circular Quay to Taronga Zoo and walk or get a bus from Taronga Zoo to Balmoral beach (bus 238).